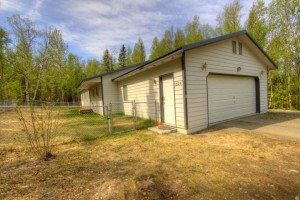 This is home is in a private little spot with a view of the Talkeetna Mountain Range. 1,248sqft of living space plus a 2 car garage on 1.4 acres off Seldon Road. Open concept living, dining, and kitchen with a vaulted ceiling. Property has a fenced yard and storage shed.